Below the peak of Vouno is an enormous geological feature know as ‘the big hole’. This hole is almost perfectly cylindrical and an estimated 20 metres across and 150 metres deep. It is connected at the bottom by tunnels going off to other caves in the area. 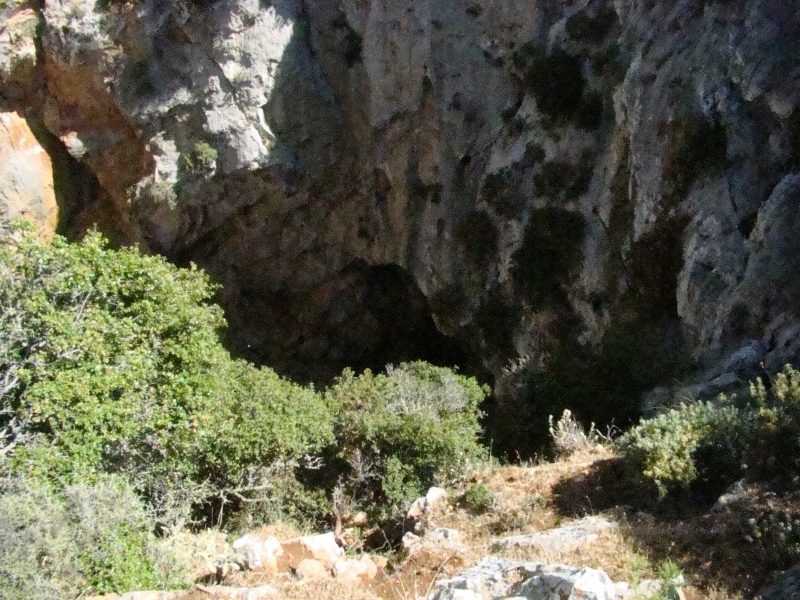 Around the corner there is one of these caves and there are a considerable amount of crystal deposits in the area. There is evidence that in this area was an important Early Cycladic settlement with the holes being used for sacrificial rituals. In more modern times locals used to collect wild honey from the sides by lowering a man into the hole on a platform secured with ropes. Geologically these holes have formed over millions of years by water dissolving the soft rock, which was encased in the hard outer rock. Salts in the rainwater crystallising in layers formed the crystal deposits nearby. 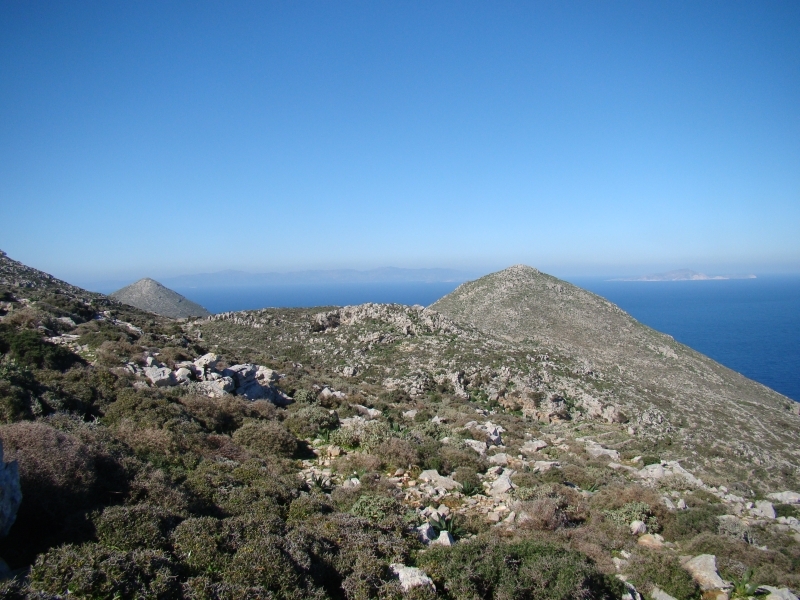 The path to this cache is not marked on any other map apart from in the Amorgos Visitor’s and Walker’s guide.